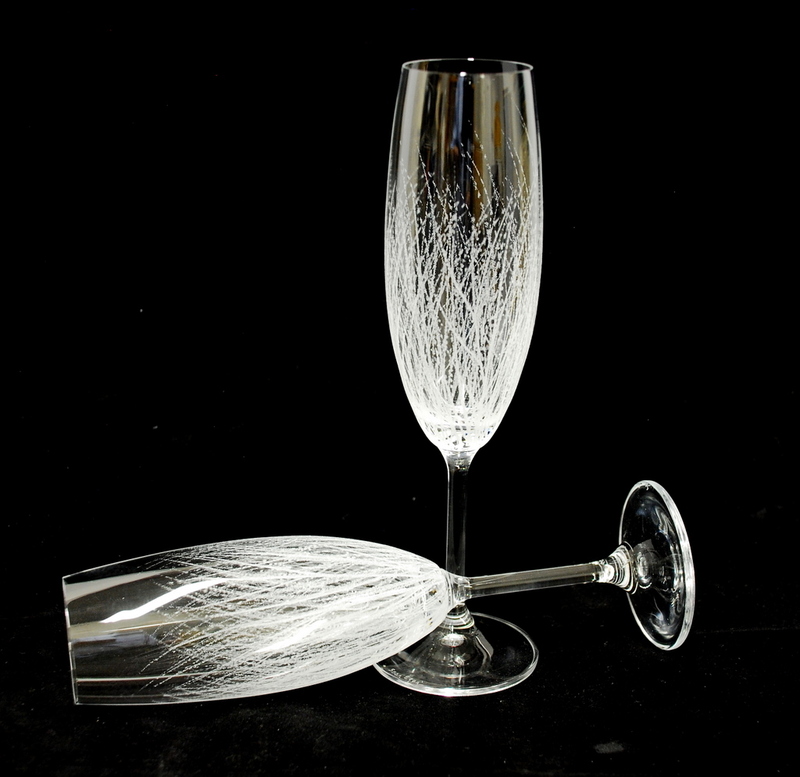 Description 9" champagne flutes with "Wild Forest" design which is exclusive to Sean Egan Art Glass. Set of two. Personalisation at no extra costs.